The New Aid Paradigm: Is it new, and what does it do for aid reform? On 18 June the Government released its new strategy for foreign aid spending. 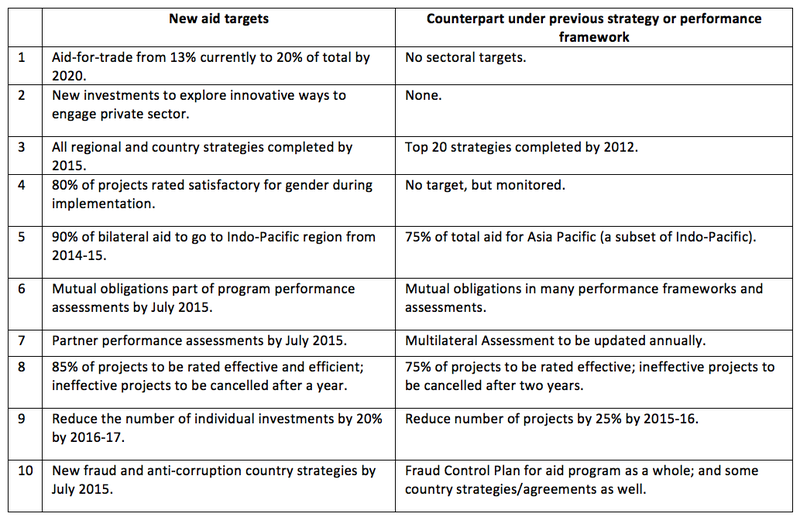 Julie Bishop calls it the new aid paradigm: the Coalition’s new aid programme strategy and performance framework. The first thing to say about it is that it is not that new. That is not a criticism. It would not make sense for the aid programme to head in a completely new direction every time a new government came to office. And improving aid effectiveness is a bipartisan endeavour that has been underway now for many years. Taking this agenda forward is best done by building on the efforts and achievements of the past. To see the similarity between the old and new approaches, take the ten targets which constitute the government’s new performance framework. As the table below shows (click to expand), eight of them have at least somewhat (and sometimes very) similar counterparts in the previous government’s performance framework and aid strategy more generally. Or look at this comparison of the sectoral expenditure categories of the previous government, and their share of the aid budget in 2013-14, with the sectoral categories adopted by the new government, and their share of the budget in 2014-15 (information for which is now available from the government’s belatedly-issued aid budget or ‘Blue Book’ also released yesterday). There is little difference in the packaging, and so far in their shares. It’s not all continuity though. 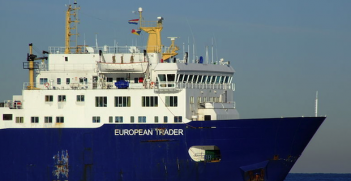 There are certainly a significant number of changes including of course the plan to lift aid-for-trade spending. More analysis will be needed, but we focus here on what we consider to be the big improvements and the main negatives. 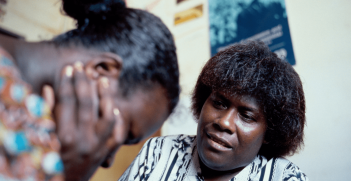 The requirement that now projects will have to consider ways to engage the private sector won’t influence traditional technical assistance projects but could make a big difference in the social sectors, where the aid programme will need to consider whether it could do more to partner with, for example in PNG, church-run health services or private sector health providers, actual or potential. The emphasis on innovation, the $140 million innovation fund and a willingness to take risks are all positives. An Australian aid stakeholder survey last year revealed that most thought that AusAID should be prepared to take more risk. The elevation of gender for the first time, to become one of the six priority areas for the aid programme, alongside the five sectoral categories given above, is a positive. Gender is not a sector: projects promoting attendance of girls at school will instead be classified as an education investment. But it is nevertheless good to put gender up in lights with the other five sectors: its previous treatment as a crosscutting issue, while logical, perhaps meant it didn’t get the attention it deserved. Some of the targets introduced are ambitious and will not be easy to meet. A recent Office of Development Effectiveness (ODE) report shows what the baselines are. Satisfactory scores for effectiveness and efficiency are normally below the new target of 85%, and satisfactory scores on gender are normally below its new 80% target. Of course these are self-ratings and standards can be lowered to meet the new targets. But the ODE will be doing spot-checks to keep the self-rating bias under control and it’s got to be an improvement to have more ambitious targets than the earlier single 75% effectiveness target, which was always guaranteed to be met and therefore irrelevant. Aid transparency has declined so far under the new government. The new strategy recommits to transparency which is good, but transparency is dropped from the performance framework. Since reporting will be based on the ten targets and transparency is not one of them that may well mean less emphasis for transparency. The last government, despite committing itself to report annually on its progress with transparency, struggled to keep project information up-to-date on the web. Not making transparency a performance target is a mistake. Another area the performance framework is silent about is actual results. The old performance framework was full of quantitative targets such as ‘40,000 women survivors of violence will receive services, including counselling.’ There were in fact 17 such output or outcome targets. The new performance framework has none. The previous government went too far, we argued, with its emphasis on output targets. Nevertheless, they are at a minimum good tools of communication. Compare the old target above with the new government’s gender target: ‘80 per cent of investments, regardless of their objectives, will effectively address gender issues in their implementation.’ Is that really going to impress or excite anyone except an aid wonk? The Coalition is to be congratulated for focusing its performance framework on things that are under Australian control and are reasonably easy to measure (such as ratios and ratings) but some supplementation by more easily understandable, communicable and tangible results would have been helpful. The government has only done half the job it set itself. It answers the first question in its consultation paper (‘How should performance of the aid program be defined and assessed?’) but not the second (‘How could performance be linked to the aid budget?’). There is to be a performance incentive fund (another instance of continuity with the past) but no hint is provided of how the basic challenge of linking performance to aid allocations at the country level will be met beyond the anodyne: ‘Progress by both Australia and its partners in meeting mutual obligations will be assessed and reflected in future budget allocations.’ Experience shows that without an explicit formula linking performance to allocations either across countries or across time such an intention is simply not credible. The difficulty of converting good intentions into reality was in fact illustrated yesterday at the launch of the aid policy itself. Yesterday was the day when the PNG Prime Minister sacked his anti-corruption chief after the latter accused the former of corruption. Given the prevalence of corruption in PNG and the heavy emphasis placed on corruption by the aid programme, if there was ever a case of a country not meeting its ‘mutual obligations’ this was it. And yet our Foreign Minister happily announced, at the launch that we are in fact increasing aid to PNG. Not enough attention is given to aid management in the performance framework and not enough to what aid stakeholders see as the problems with the aid program. When a recent survey last year asked over 300 aid stakeholders what they saw as the problems in the aid programme, they said rapid staff turnover was the most serious and slow decision making the second. The old performance framework included a commitment to reduce staff turnover. That has been dropped. Timely decision-making features in neither framework. These might seem like prosaic things but they are critical for effective aid. And if we can’t manage regular aid well, you can forget about innovative aid. Especially with the DFAT merger, aid management threatens to be the Achilles Heel of Australia’s aid program. It is unfortunate it has been marginalized in the new approach. Criticisms invariably take longer to express than praise. The new strategy and performance framework clearly has both strengths and weaknesses. Its continuity is itself a major strength, and it is good that we now have a new underpinning for the aid program, and within only a year of the Coalition taking office. Stephen Howes is Director of the Development Policy Centre. Joel Neign is Senior Lecturer in International Public Health at the University of Sydney. This article was originally published by Devpolicy Blog. It was republished with permission. Australia and South Korea are Asia-Pacific middle powers with much in common. 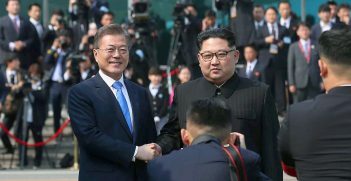 South Korea’s activist diplomacy offers Australia an instructive point of comparison as it navigates the uncertainties of the Trump era.